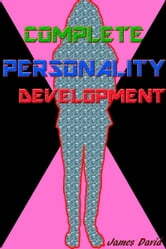 Personality is an attraction which magnetizes people towards ourselves. We can easily achieve success by adopting a good character. We usually meet people whose memories get stored in our heads forever. Why? It is due to their personality. There are two types of personalities : One is the Outer personality the other is the Inner personality. We can achieve outer personality by dressing ourselves in nice clothes and adopting good etiquette while to achieve a good inner personality we need to adopt some principles, fix some goals and manage time, generate self confidence. Actually we need to keep several things in mind for a good personality. It's Great to Be Grateful!